A man tests red wine in Castagneto Carducci, in Tuscany. The lack of a secondary market makes it hard to treat wine as an investment play in Canada. Every decent portfolio should have a certain amount of liquidity, experts say. But what about truly liquid assets, such as Domaine de la Romanée-Conti or Château Lafite Rothschild? Fine wine is having a good run as far as "investments of passion" go. According to Knight Frank's Luxury Investment Index, wine was the top performing asset class in 2016, beating out classic cars in terms of value growth. The Fine Wine 100 Index, an industry benchmark run by London International Vintners Exchange, is up 6 per cent over the past year and nearly 20 per cent over the past five years. That growth story is playing out in Canada as well, said Stephen Ranger, vice-president of Waddington's Auctioneers, which runs this country's main commercial wine auction. "There's such a demand for all the class growths of Bordeaux, virtually all the class growths of Burgundy, Italian super Tuscans, California cult wines and, of course, the great wines of Spain and Portugal," he said. At Waddington's, top Bordeaux consistently fetch 120 per cent of the estimated price. "I'm more bullish on it than I ever have been," he said. Does that mean Canadians should start throwing money after Château blends? Not exactly, says Arron Barberian, a collector of fine wines and owner of Barberian's Steak House in Toronto, which has one of the country's largest cellars with tens of thousands of bottles. Unless you're in the restaurant business, wine is not as liquid as you think, he said. "If you buy stock, you buy property, there's a legal way of selling it. 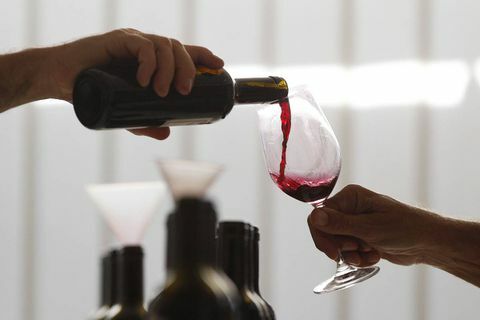 In Ontario, there are very few legal methods of selling wine," he said. The problem is that the secondary fine-wine market in Canada is virtually non-existent. You can buy new vintages from liquor stores, but if you're looking for mature wine from private Canadian collections, there's really only Waddington's and a handful of charity auctions. The same goes for selling your collection: Unless you want to move it out of the country, your options are limited. Canadians often find it easier to sell their collections to buyers in Hong Kong or the United States than to other buyers in Canada, said Warren Porter, president of Toronto-based Iron Gate Private Wine Management, which helps Canadian collectors sell their wine to international buyers. For collectors willing to wait for wines to mature, quality cellars can be built over time. Otherwise, buyers can bring wine into the country using several methods, though not without taking a significant tax hit. The rules vary among provinces, but in Ontario you can bring in two bottles on your person, duty-free, or up to 45 litres in person at a tax rate of nearly 40 per cent, Mr. Porter said. If you ship wine into Ontario you're looking at a tax of more than 100 per cent, he added. The other way to import wine is bringing it with your household possessions when you move back in to the country. "You can bring in 100 cases per adult and pay HST [harmonized sales tax] on the value of the wine," said Mr. Porter. "I have numerous customers who bring wine in when they move back from corporate stints abroad in Geneva, London or what have you, because it's significantly less expensive outside of this country." The lack of a secondary market makes it hard to treat wine as an investment play in Canada. But that doesn't mean people shouldn't indulge their passion for its own sake, experts say. Watching the value of a collection grow is a nice side benefit, said Mr. Ranger. "There are lot of people engaged in the age-old premise of 'buy two cases, put one away, drink the other one,' and when it comes time to sell, then basically your first case has been free." If you want value growth, the starting point should always be Grand Cru Bordeaux, which forms the core of the global wine market, said Mr. Porter. At the top are the five "first growth" 1855-classification Château wines: Lafite, Margaux, Latour, Haut-Brion and Mouton. "It's kind of 'buy the best house on the best street.' The best house is Château, and the best street becomes the vintage," said Mr. Porter. "You pick the top houses of Bordeaux at the best years, and those are ones where you can be pretty confident that they're going to appreciate in value." Among the rare Burgundies is the legendary Domaine de la Romanée-Conti. "All other wines are judged against DRC's top wine – that is the one and only wine, Mount Everest," said Mr. Barberian. "If you want to chase these ghosts, though, good luck, because you're going up against some of the wealthiest people in the world." Like any well-rounded portfolio, collections should be diversified, with top Champagnes, super Tuscans, Rhône classics, and California cult cabernets rounding out the blue-chip Bordeaux and Burgundies. This can help you ride out the inevitable price fluctuations in any one class, as in 2011 when the so-called "Bordeaux Bubble" popped when Chinese buyers began moving away from First Growths. If you're looking for value, the trick also isn't to buy the most expensive bottle, said Mr. Barberian. "With some of the most expensive wines in the world, that high price was baked in when you bought it from the winery, so it's not necessarily that you're going to buy for $1,000 and sell it for $2,000. The best values are often the $100 bottles of wine going to $200." Whatever the ultimate motivation, it's important to keep wine well cellared lest it lose both taste and value. Here climate control is key, and that means having an alarm system in the event of a refrigeration failure in your cellar, said Mr. Porter. "You can be in Boca Raton for two months and come back and you've lost your whole cellar." His other piece of advice, if you want your "investment of passion" to be an investment at all: Keep it away from your teenage kids and make sure your partner knows which bottles are which. "They're having a party with their friends and they walk down to the wine cellar and pick out the one bottle which is one of only 10 in the world, valued at $15,000. "That absolutely happens," Mr. Porter said. "Of all the thousands of bottles, they always seem to pick that one." I won the lottery. Help!